Nahma is 32 years old and she is the mother of six kids. Currently, her family lives in a one room shelter made of concrete in the middle of the fields. In exchange for this “accommodation” Nahma’s family shares the vegetables produced with the owner of the land. 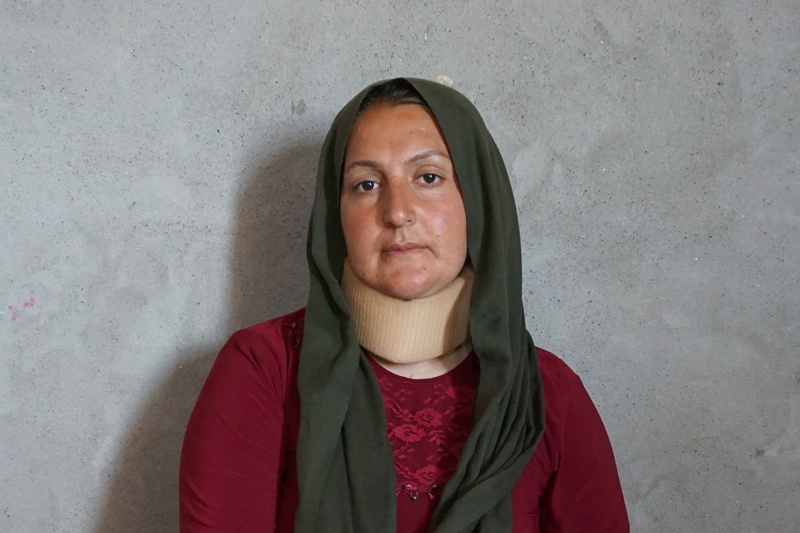 Nahma suffers from a severe neck pain due to a problem with a vertebra of her spine. This condition has been going on for two years now, but has recently worsened due to sleeping on the floor. 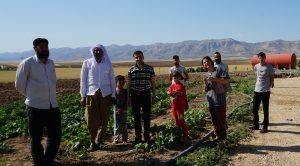 Because of this, now Nahma cannot help in the fields nor take care of her kids alone, which highly complicates the already challenging situation. Doctors have suggested her to do a MRI and possibly operate. However, the family is not able to cover the costs of any further examination or of the potential operation. Indeed, after leaving their hometown in Sinjar in July 2014, the family has been left with nothing. Their previous home is now destroyed and no future is awaiting for them back there. Specifically, since the ISIS threat has forced them to escape, the family has been surviving only of the little governmental monetary compensation Nahma received every month after her father was killed during the Iraq-Iran war. However, recently the government has stopped the support and the family is left with no more than the few tomatoes and cucumbers that they are able to grow. Living isolated, compared to many other displaced families in the camps, Nhama’s family does not know how to ask for support and how to find the funds needed. With a little help we hope to investigate further Nahma’s back problem and guarantee her a way to take care of her children and freely move again.